Grout has become one of the biggest problems for many homeowners. Due to its absorbent and very porous nature, removing it will not be an easy task. And you might be searching online some useful tips to clean the grouts yourself. And when you’ve finally found the most legit solution, you’ll quickly jump in the task. Why pay the extra money for professional work when there are DIY’s that can help you through, eh? True. But you may want to reconsider. One, scrubbing the wall and tiles for long hours may just give you back pain. And two, you ma y end up with disappointment on your own work. Either of the two can happen to you. But worry not! Grout cleaning? No problem! Maid in Perth can clean all types of dirty grout all over your house with ease. Food and Grease stains can penetrate surfaces. Thus, leaving the grout grimy and dirty. Don’t bother cleaning it anymore. The most and best effective way is to hire professionals with years of experience. We will assess your grout cleaning needs with no delay. Maid in Perth has specialist equipment and tools for grout cleaning. Restoring its clean and fresh look is our job, not yours. Furthermore, our expert cleaners have years of experience to execute the job well. With attention to details, our dedicated cleaners will leave no grout uncleaned. You don’t have to look further! Our expertise will make your grout get a brand-new feel once again. Grout Cleaning: Take Your Free Time to Enjoy What You Want! Most of the time, cleaning the grout yourself is a backbreaking work. And you probably won’t be too impressed with the results. Don’t break a leg on this task. Take a break! 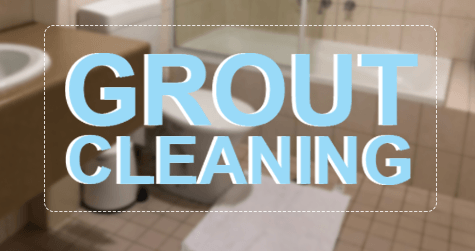 Let professional grout cleaning service do their job. Whether it’s home or commercial cleaning, our grout cleaners will effectively wipe all the dirt away! Book with us today and experience only the best clean.